On a hiking tour through the mountains, a lot of things are dispensable. Perfectly fitting and highly functional mountaineering trousers are not. As a result, mountaineering trousers also belong to each alpine athlete's standard gear and are on hand in all weather - in winter and summer - and during all sporting activities. It doesn't matter, whether they are one directly or carried in the luggage as added weather protection. Mountaineering trousers carry out may functions at the same time: On the one hand, they protect the legs from cold, wind or wetness. On the other hand, mountaineering trousers prevent possible injuries from falls and protect against sharp rocks or pointed objects. 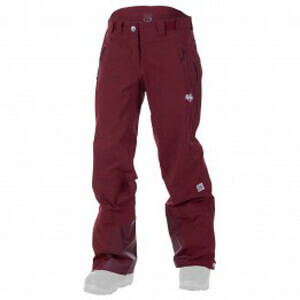 Mountaineering trousers are available in various models and in an assortment of materials. The product range stretches from the breathable hardshell trousers or waterproof trousers, via the padded softshell pants to the simple walking trousers for hiking and climbing. Depending on terrain and season, not only must mountaineering trousers protect from wind and weather, they should, in particular, be durable. While the features of materials for climbing and walking trousers are tailored towards flexibility and minimal weight, while mountaineering trousers for ski mountaineering, multipitch climbing or ice climbing put greater emphasis on durability. It is therefore totally possible that a particularly active alpine athlete has several mountaineering trousers hanging in the wardrobe. Even though waterproof trousers are often touted as hardshell trousers, they are almost always stowed away in the backpack and only worn over the actual mountaineering trousers during bad weather. Waterproof trousers on the other hand, can be worn next to the skin and are made of more sturdy material. Nowadays, highly functional, breathable membranes are worked into all mountaineering trousers, thus ensuring a balanced body climate as well as consistently dry legs. Some of the trousers also possess laminated zippers on the outside of the legs, which, if necessary, provide additional fresh air or make it easier to put on and take off the mountaineering trousers. To prevent cuts and injuries, the ends of the pants legs are also equipped with a robust edge protector. As a result, the sharp edges of the ski and the pointed prongs of the crampon would hardly be able to ruin the mountaineering trousers. Softshell is the most favored material for mountaineering trousers, when it comes to simple climbing and walking tours. Although the softshell material is not waterproof, it will endure a short shower and, paired with waterproof trousers, is often the most sensible solution. Thanks to its flexible properties, it is especially suited to highly active movements. However, it can also withstand particularly cold regions and ski trips or hiking tours in winter. For instance, when used in padded mountaineering trousers, it offers excellent properties for conserving body heat and protecting from chilly winds. Equipped with braces, certain mountaineering trousers also provide the back and the sensitive kidney area with added warmth.